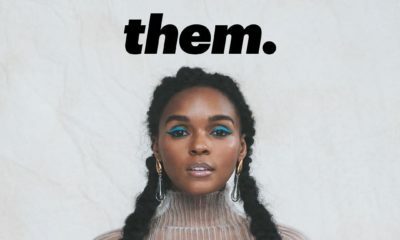 CoverGirl brand ambassador and eclectic singer Janelle Monáe is known for her androgynous outfits and her signature pompadour – but being a naturalista, even she has a hair journey to share. 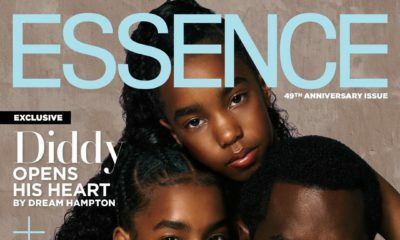 When her mane isn’t being taken care of by her hairstylist Caprice Green, she shares with Eseence.com how she cares for her hair, gives some advice on how to care for thick hair and reveals that she crushes on Lupita, Erykah Badu and Solange’s hair. 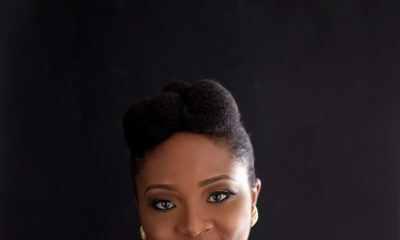 Read Excerpts from her Essence.com interview. I haven’t always paid much attention to my hair, but as I grew older I found the beauty in it. I’ve been natural for many years now. I’m an ideas type of girl, and being natural allows me to have more versatility with natural hair. Hair is about options and showing diversity. When I’m on tour I tend to be more careful with it. I don’t blow dry or use heat. I also love to use protective hairstyles and lots of hats. I like Cantu’s Shea Butter Leave in Conditioning Repair Cream and I enjoy stream treatments. Embrace your hair. Natural hair has always been in, but its celebrated even more now. So let your natural hair shine. There’s so much beauty in our natural state. Hello, my name is Abena Hagan. Founder and CEO of Curls-AuNaturel. Curls-AuNaturel is a hair care treatment centre. Extensive research has been done on various oils to make essential treatments for your hair. We aim to educate you on hair care whiles we nurture your hair and help it grow into a luscious long, healthy, shiny mane. We offer treatments that bring volume, length, shine, curl definition, coil definition, repair hear damage, remove dandruff, soften your hair, maintain healthy hair etc and the best bit is after your first treatment, we access your hair and mix a treatments specifically for your hair to feed it with the nutrients it needs to reach its full potential. I am contacting you to find out if you would be interested in sharing your blogs on our website. curls-aunaturel.co.uk. Instagram: curls_aunaturel. I have been reading your posts and I think you are very enlightened and share what I would love my clients to know. You consider things from your readers point and not everyone does that.